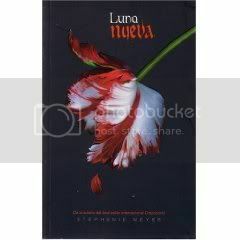 New Moon is the second book in the Twilight Series by Stephenie Meyer. 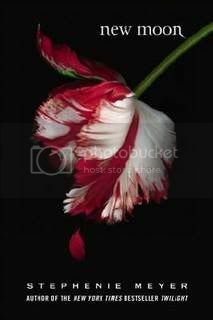 Learn more about New Moon on Stephenie Meyer’s site. You can order all versions of New Moon at Amazon. when they say that bella befriends a sophomore from her school, jacob, that is untrue. jacob does NOT go to forks high school, he goes to school on the reservation. i know the synopsis is from amazon so i’m not sure if you can change it, but thanks for listening…. I’d also like to point out that from the book standpoint, Bella didn’t “befriend” Jacob… rather, I’d say she “renewed and strengthened” her friendship with Jacob, because they were already friends… maybe not close friends, but not strangers either. I realize that’s how they portray Bella and Jacob’s friendship in the MOVIE “Twilight”, but that isn’t how Stephanie wrote it in the book…. “Vampire fans will appreciate the subsequently dour mood that permeates the novel” Uh,no. It last forever. Every second and every step she seemed to say ‘Big hole, oh no, he’s gone, nightmares.’ for about 200 pages. And it lasted the whole book. Edward has back for only a few chapters then it ended. New Moon should have been called ‘The Nightmares’ cause thats all that happened. Nothing new, no new start. I have this book and so far i love it.i read 453 pages in 2 days. when edward went to see the volturi ans aro read his mind, wouldn’t he have known all about the treaty with the werewolves, which they don;t approve of, before breaking dawn, when caius was trying to kill them for that after he couln’t becase of renesmee? if alice remembered nothing from her human life, how did she remember her name? or was the only thing she remembered? Log in | 54 queries. 0.933 seconds.